This savings club offers a way for little ones to learn about saving while they earn prizes and have fun! Lullaby Card offer for new babies. We'll make their first deposit! Savers Booklets: each time your youngster comes in and makes a deposit of $5 or more they'll receive one stamp in their Kids Club booklet. After they earn 10 or 20 stamps, they can redeem their booklet for a prize. Promotions, coloring contests, backpack giveaways, & more throughout the year! Birthday gifts: each child will receive either a Premiere Theater movie pass, Gamper's bowling pass or a $5 coupon that can be deposited into their account. Gift depends on your age and where you live. Kids Club members must be present for deposit in order to earn a stamp. A deposit of $5 or more must be made in to a Kids Club Savings account in order to receive a stamp. 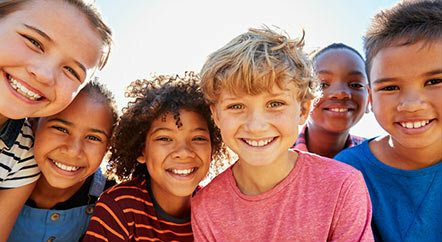 Children will receive one bonus stamp when opening a NEW Kids Club savings account. Maximum of 1 stamp per day for deposits. Children are no longer eligible for a Northwoods Credit Union Kids Club account after their 13th birthday. Prize may not be available to take home on the day of deposit. Please allow up to 2 weeks after deposit to receive your prize by mail. At times, Northwoods Creidt Union may give our young members a monetary gift or gift certificate that can be exchanged for money into their Kids Club account - these types of deposits do not count towards stamps for the Kids Club. Kids Club rules and requirements may change at any time. Last revised 3.28.18.